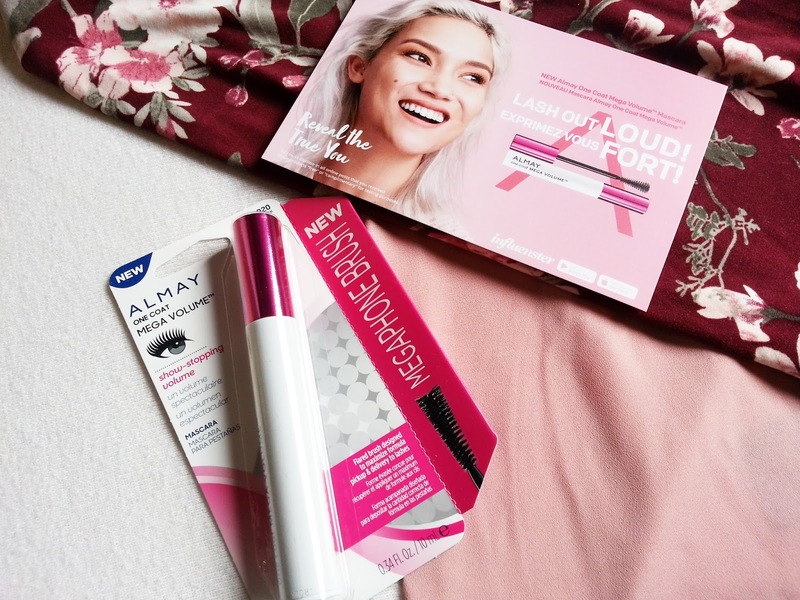 I didn't know that Almay was coming out with a new mascara until I was recently picked for an Influenster Campaign, that featured Almay's new One Coat Mega Volume Mascara. 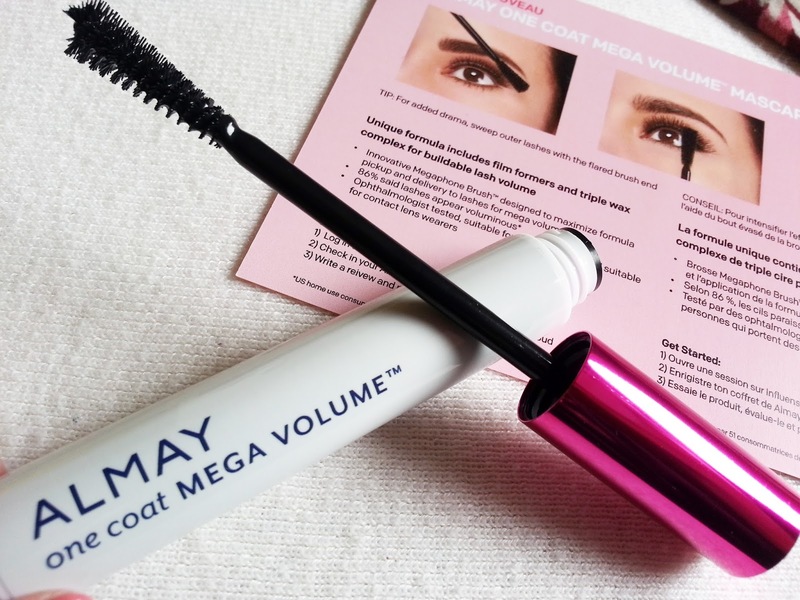 I'm always looking for volumizing mascaras, so I was happy to see that I would be able to try this out! 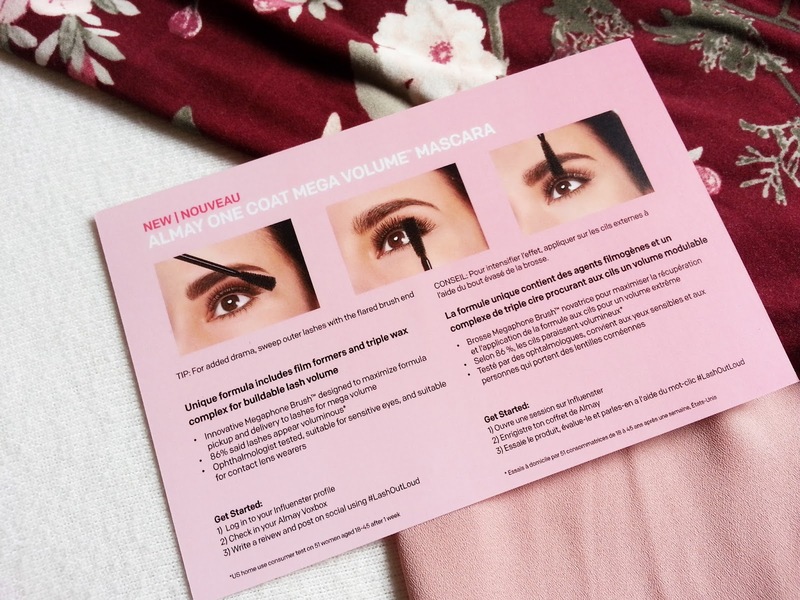 As you can see from the packaging, Almay is introducing this mascara with a new megaphone brush. This unique formula includes film formers and triple wax complex for buildable lash volume. The innovative megaphone brush is designed to maximize formula pickup and delivery to lashes for mega volume. It's also ophthalmologist tested, suitable for sensitive eyes, and also suitable for contact lens wearers - which is perfect for me, because I wear my contact lens every day for work, and if I have any plans on the weekend! Look at all that extra volume! As you can see, on the left I'm only wearing eye liner, and on the right, I've used the Almay - One Coat Mega Volume Mascara. I have really been enjoying this mascara. I thought the wand was going to be a gimmick and tricky to use, and while the first time using it, is a little odd, you can quickly adapt and fan out those lashes. 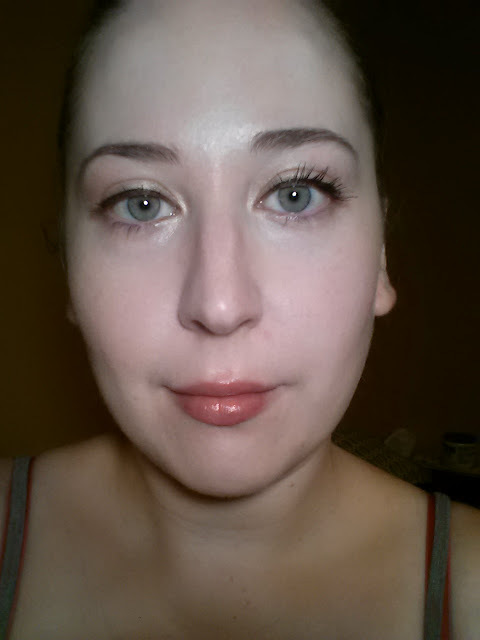 I did find the formula was a little more wet than I like for my mascara, so there were some days where my lashes would clump together. I love the volume it provides when my lashes don't clump though. If this were a little more of a drier formula, it would be perfect. It does not flake, or give me raccoon eyes, and it's so easy to remove at the end of the day.